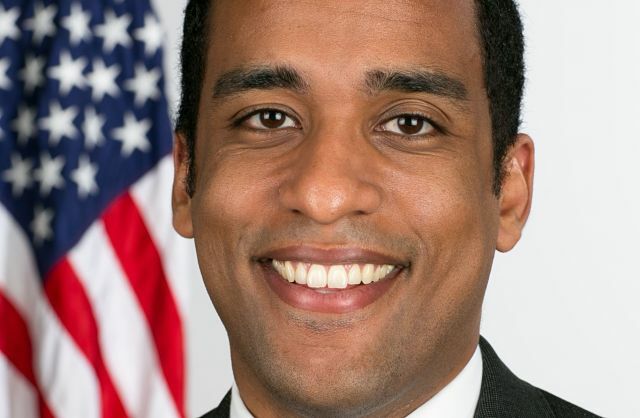 New York (TADIAS) — As the first Ethiopian American in a senior White House role, Yohannes Abraham is a trailblazer in both our community and within the larger African Diaspora in America. Since 2009, he has worked diligently inside the White House, only steps away from the Oval Office, helping to shape the Obama legacy while serving as Chief of Staff to Valerie Jarrett, Senior Advisor to President Obama. Reflecting back on the past eight years and the personal journey that led him to serve in the historic presidency of Barack Obama, Yohannes credits his parents first and foremost for his interest in public service and civic engagement. “It’s difficult to pinpoint the exact time when I became interested in public service, because serving our community and country was always part of the family dialogue,” Yohannes tells Tadias in a recent interview. “Both my parents are proud U.S. citizens, and they wanted us to be engaged citizens as well.” His mother and father immigrated to the United States from Ethiopia in the 60s and Yohannes was born in Alexandria, VA and raised in Springfield. “I attended Thomas Jefferson High School for Science & Technology and was a Political Science major at Yale, focusing on U.S. foreign policy” Yohannes adds, noting that his parents raised him and his sister with a strong sense of service to community and the importance of helping people. Shortly after graduating from Yale, Yohannes secured a job with Senator Obama’s campaign in Iowa in 2007 with the assistance of a fellow Ethiopian American. For Yohannes, there are many highlights from his job organizing 14 precincts in Iowa for the President’s first campaign. “There were many memorable parts of working on the campaign, and it was especially interesting to be there early on in Iowa. We were a relatively small team. None of us went to Iowa because we wanted to work in the White House one day – that wouldn’t have been a smart bet at the time. We were there because we believed, and we worked hard to build support for the Senator, block by block, voter by voter. We became a part of the communities we lived in, and we built a sense of family with our teammates. It was not glamorous stuff…we would work all week to get a couple hundred people to come see him,” Yohannes shares. “It was pretty incredible going from those smaller events of a couple hundred people to events with tens thousands of people over time. And what was the most memorable moment of working for President Obama at the White House? Among those making a difference is fellow Ethiopian American Henock Dory, a White House Staff Assistant and Policy Advisor, who reports to Yohannes. And what role did mentors have in Yohannes’ career trajectory? “First and foremost, it’s my parents who are my mentors,” Yohannes explains. “Over the course of my service for President Obama they were my constant rock, giving me wisdom and strength when I was frustrated or discouraged. Look, they came to the United States not knowing anyone, immigrating to a country where they barely spoke the language and had no family and little money. In the face of all that, they worked their way through college and graduate school and built successful professional careers. They did all that to build a better life for us here, and they are my inspiration. Now, in addition to my parents, I also have also had fantastic bosses who have helped me along the way. Over the course of these past years, Valerie Jarrett has been both a fantastic boss and friend; she is like a member of my family. She is a really strong and active force in my life. Another great mentor is Jeff Zientz, Director of the National Economic Council. Of course, along with all the things Yohannes loves about his job come the challenges. Yohannes encourages the broader Ethiopian community to remain engaged. Last but not least, Tadias posed the question of a future run for Congress or Senate to Yohannes, and although he doesn’t yet know if he’ll run for office he certainly has “100% clarity” that he is going to stay involved in public service.